Tracy Sinton lost her son Joseph to an aggressive brain tumour five years ago when he was just ten years old. 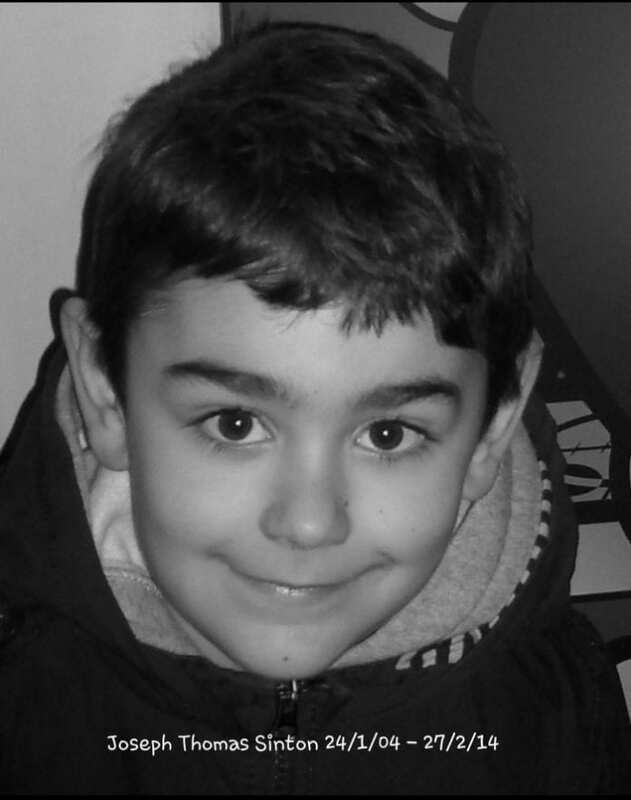 Joseph was first diagnosed in 2010 after just two weeks of headaches and vomiting. He underwent gruelling treatment, including several visits to theatre, six weeks of daily radiotherapy and four cycles of intense chemotherapy with stem cell replacement, and was given the all clear in July 2011. He seemed to be doing well until the family became increasingly concerned when Joseph started vomiting again and one day collapsed at home in Spring 2013. Tragically the cancer had returned and spread into his spinal cord and brain – and this time there was no cure. Brave Joseph died peacefully at home on the 27th of February 2014. Since losing Joseph the family has been fundraising for the Future Fund at Newcastle University which raises money for Childhood Cancer Research. When mum Tracy won the Chaopraya competition through I Love Newcastle’s Facebook page she asked if she could use the prize to help with the fundraising in her son’s memory. Tracy who lives in South Shields with her husband Bob, said: “The voucher has already been used to help us raise over £200 for our cause, I am over the moon to have won. “Joseph fought his battle with such bravery and always with a smile on his face, showing immense courage for someone so young. “Our beautiful little boy has made us incredibly proud. Joseph touched the hearts of everyone he met with his huge personality, strength, courage, humour and determination. Joseph continues to be our inspiration and our strength to carry on. “In memory of Joseph, we decided to raise much needed funds for Childhood Cancer Research which we discovered is sadly very underfunded. “Shortly after Joseph died, the ‘Future Fund’ was set up and launched right here in Newcastle – a collaboration between Newcastle University, the Great North Children’s Hospital (who took such fantastic care of Joseph) and North East Children’s Cancer Research (NECCR), we knew this was the charity we wanted to support”. The Sintons have so far raised over £70,000 for the Future Fund and are currently organising their fifth annual fundraising evening in memory of Joseph. The Don’t Stop Believing Ball will be held at the Assembly Rooms in Newcastle on Saturday 5th October, an evening with live music, DJ, silent auction, raffles and tombola. Tracy added: “We are incredibly fortunate to have the amazing support of friends and family and are grateful for the generosity of many companies and local businesses who have provided items and experiences for us to use as prizes. All money raised for the Future Fund goes directly into researching childhood cancers at The Wolfson Childhood Cancer Research Centre within Newcastle University, a world class medical facility.